The United States Environmental Protection Agency says that if your home was built before 1978, there is a good chance it has lead-based paint. In 1978, the federal government banned consumer uses of lead-containing paint, but some states banned it even earlier. Lead from paint, including lead-contaminated dust, is one of the most common causes of lead poisoning. Below are some helpful facts to keep you knowledgeable about paint in your home. Stairs, railings, banisters, and porches. Be sure to keep all paint in excellent shape and clean up dust frequently. Lead dust can also be tracked into the home from soil outside that is contaminated by deteriorated exterior lead-based paint and other lead sources, such as industrial pollution and past use of leaded gasoline. Pipes and solder - Lead is used in some water service lines and household plumbing materials. Lead can leach, or enter the water, as water flows through the plumbing. Lead pipes and lead solder were commonly used until 1986. Inspect your roofing to see if any shingles were damaged or lost during the winter. A leak in your roof can often times go unnoticed before the water coming through has severely damaged your home's structure and possibly your belongings. A wet spot on the ceiling or dripping water from above sometimes indicates that there might be a leak in your roof. One way to deal with this situation is a service we provide called Roof Tarping and can temporarily be installed over the damaged area of the roof to prevent any further damage to your home while major repairs are being planned and executed. While you're up there, it is a great idea to inspect your gutters. Out of sight and out of mind, is not always a good thing especially when it comes to gutters. Be sure to inspect all your gutters and drainage systems to make sure they are properly directing water away from your home. This happens to be one of the most common causes for water damage around the home, mainly because people never inspect their home’s drainage systems. Preventative measures can save you hundreds if not thousands of dollars in home repairs. It is important to recognize a drainage problem and address it as soon as possible because it can lead water into the basement or crawl space. Lower areas in your yard or next to your home’s foundation should be filled with compacted soil. During the rainy seasons, water can cause yard flooding, which in turn can lead to foundation flooding and damage. Signs to look for such as pooling water or run off going into your crawl spaces are often signs your yard needs some additional attention to help prevent from flooding and damage to your property. Inspect the concrete slabs around your home for signs of movement or cracks. Every exterior slab, except for pool decks, should drain away from your home’s foundation. It is a good idea to fill any cracks with a concrete crack filler or silicone caulk. Also when the weather permits, like most days here in Southern California, power washing and then sealing your concrete is a great way to prevent any damage due to water. There's never a convenient time for fire or Water damage to strike your El Monte commercial property. Every hour spent cleaning up is an hour of lost revenue and productivity. So when the need arises for professional cleaning or emergency restoration services we have the training and expertise to respond promptly with highly trained technicians to get your property back to business. If deciding to paint your home, add mold inhibitors to your paint. When cleaning areas inside your home that see the most moisture such as your kitchen and bathrooms, always clean with a mold-killing product. Carpet often helps trap moisture underneath and can be the perfect environment for mold growth if in an area that is always moist, such as a basement or sunroom. The area surrounding your home should always be sloping away from the house to prevent any pooling or water flow underneath your house. Make sure drip pans underneath appliances such as an air conditioning unit, dishwasher or refrigerator are not overflowing or spilling onto the floor. Check your indoor plants to see if water is gathering and possibly leaking onto the floor as well. A visual inspection under your sinks and toilets can also help to identify if there is a broken seal or a pipe that may be leaking. Whenever there is a spill, water leak, overflowing sink or tub be sure to always clean it up immediately. Always remove or replace any carpet that is not able to properly dry, this will help prevent any mold growth that may occur due to saturation. Any piping that remains cold often creates condensation, this can easily be fixed by insulating those pipes. Have you noticed moisture or water seeping through your windows after a heavy rain? If so it may be time to inspect those windows and make sure there are no gaps and that a weather proof sealant or strip is properly installed. Whenever it’s nice out, be sure to open those windows and doors to easily help ventilate and move air around your home. Same thing goes for when you are showering, cooking, running the dishwasher or let’s say cleaning your laundry; make sure you have those windows open to bring air flow into those rooms. An even better idea is to use an exhaust fan while you are cleaning in your kitchen or cleaning up in your bathroom. California’s most destructive wildfire in history. Puerto Rico’s devastating hurricane. Oklahoma’s terrifying tornadoes. According to the National Oceanic & Atmospheric Administration (NOAA), in 2017 the U.S. experienced 16 weather disasters each with losses totaling $306 billion, a new U.S. record shattering the previous 2005 record of $215 billion. The United States Environmental Protection Agency states that mold growth may be a problem after flooding. Excess moisture in the home is cause for concern about indoor air quality primarily because it provides breeding conditions for pests, molds and other microorganisms. During a flood cleanup, the indoor air quality in your home or office may appear to be the least of your problems. However, failure to remove contaminated materials and to reduce moisture and humidity can present serious long-term health risks. If you are repairing your home or building after flood or hurricane, to prevent mold growth you should be sure your foundation is dry before you replace the flooring. If you find mold in your home always be sure to avoid breathing in mold or mold spores by wearing protective gear such as masks, gloves, and goggles when cleaning it yourself. When storms hit Los Angeles, we can scale our resources to handle a large storm or flooding disaster. We can access equipment and personnel from a network of 1,650 Franchises across the country and elite Disaster Recovery Teams that are strategically located throughout the United States. Asbestos is bad for human health when the tiny abrasive fibers are inhaled into the lungs where they can damage the lung tissue. This seems to be exacerbated by cigarette smoking and the resulting diseases are mesothelioma and lung cancer. In general, if you are buying a house older than 1980, you can assume it probably contains at least some asbestos. SERVPRO of El Monte can board-up your home or business for most any cause, like the ones listed below. Board-ups will help secure and protect your property. Board-ups also will also assist in defending your property from more damage due to severe weather. Did you know, most insurance policies require that the Property Owners and Renters to protect their property against secondary damage? This is damage that occurs because of a person not taking proper actions after the first damage occurs to secure the property. If Owners or Renters are found to be negligent, the secondary damage might not be covered by insurance. Having your property damaged in any circumstance can be a very stressful experience. SERVPRO of El Monte specializes in the cleanup and restoration of residential and commercial property after a fire, smoke or water damage event. Our staff is highly trained in property damage restoration and we are an IICRC Certified Firm. We believe in continuous training: from initial and ongoing training at SERVPRO’s corporate training facility to regular IICRC-industry certification, rest assured our staff is equipped with the knowledge to restore your property. The wildfires here in Southern California increase their impact because the Santa Ana winds add fuel to the devastating blazes that have encroached upon our area. According to the New York Times, fires broke out in Malibu on December 7, with at least 96,000 acres already burned in the Ventura area and 116,000 acres in Los Angeles County. Evacuations closed hundreds of schools and forced 200,000 of our neighbors to seek safety. The “Thomas Fire” in the Ventura area continued to burn with the aid of strong winds. This fire caused the closure of the 101 freeway and a boil-water advisory was issued for Ventura County. The Santa Ana winds that enabled the fires to rapidly increase their reach can have speeds more than 60 miles per hour. The National Weather Service had warned of “very rapid-fire growth” in this area. SERVPRO Meteorologist Lela Davis said that the Santa Ana winds were already very dry when they reached the Southern California valley, allowing them to quickly pull moisture out of vegetation, increasing the risk for wildfires. For the first time ever, a purple wind warning was issued under the color-coded system used to advise about high winds. This purple warning pushed wind expectations from the “high” category to “extreme”. Ready to help here at SERVPRO of El Monte we monitored this wildfire situation closely. Our thoughts are with those neighbors who were put in harms’ way during this event. In many cases, a wildfire can result in a total loss for a home or business, but in others it may be a partial loss, or can result in mild smoke damage. If your home or business is affected by a wildfire, SERVPRO of El Monte is Here to Help®. 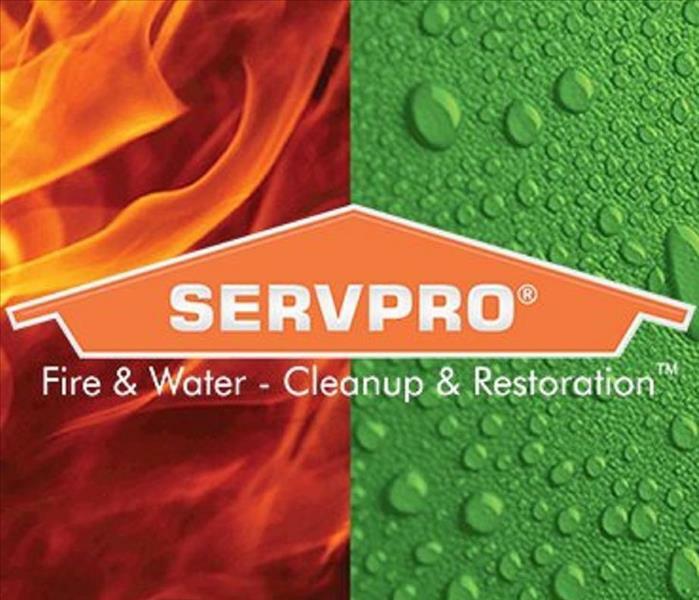 SERVPRO of El Monte specializes in the cleanup and restoration of residential and commercial property after a fire, smoke or water damage event. Our staff is highly trained in property damage restoration. From initial and ongoing training at SERVPRO’s corporate training facility to regular IICRC-industry certification, rest assured our staff is equipped with the knowledge to restore your property. SERVPRO® of El Monte handles water damages every day and know prompt action is required to prevent mold growth. Mold is more likely to spread when moisture has been affecting an environment for a long period of time. If your property has sustained a recent water damage, it is vital to have water removed and the structure dried promptly. The SERVPRO of El Monte professional will arrive on-site alert, looking for any visible signs of mold. In the event mold is found, a technician will recommend you leave the affected area while the mold cleanup and associated containment process is being safely completed. You will also be asked to approve and sign a work authorization form prior to any mold cleanup or related work being performed. We have extensive experience handling the complexities of repairing the damage. SERVPRO of El Monte will check for water damage that may occur because of firefighting equipment, and residue left and ensure that there’s no odor left behind. Below are examples and a little definition of what kind of residues you might encounter after a fire. Dry smoke residue results from a fast burning and high-temperature fire. Dry smoke will create smoke damage that is thin, dry, and powdery. Dry smoke damage is often times easier to clean. Wet smoke residue results from a lower temperature or smoldering fire; it has a pungent odor and a sticky, smeary texture. These types of fires produce fewer flames but create a great deal of smoke. Protein smoke residue is essentially invisible and can discolor paints, varnishes, and other finishes. Although protein smoke residue is invisible, it has an extremely strong and pungent odor. Results from furnace smoke from duct returns in ventilation system and causes dangerous oily soot. Fuel oil smoke damage creates a very strong odor and can completely destroy upholstered items such as couches and mattresses. This residue can be relatively sticky and difficult to clean. Fire extinguisher residue mainly come from chemical fire extinguishers. Clean up is generally an easy but can vary. SERVPRO of El Monte uses specialized equipment to handle the job. This includes chemical disinfectants, odor removers, bacteria treatments, moisture drying tools, air cleaners, and other products designed to target issues like soot and smoke. 4/26/2018 - What is Asbestos?